Late afternoons are spent walking my beagle on the Charles River path in the crisp New England air. Cozy nights are spent under soft quilts, stitching pretty things. Evening comes early. Candles are lit. 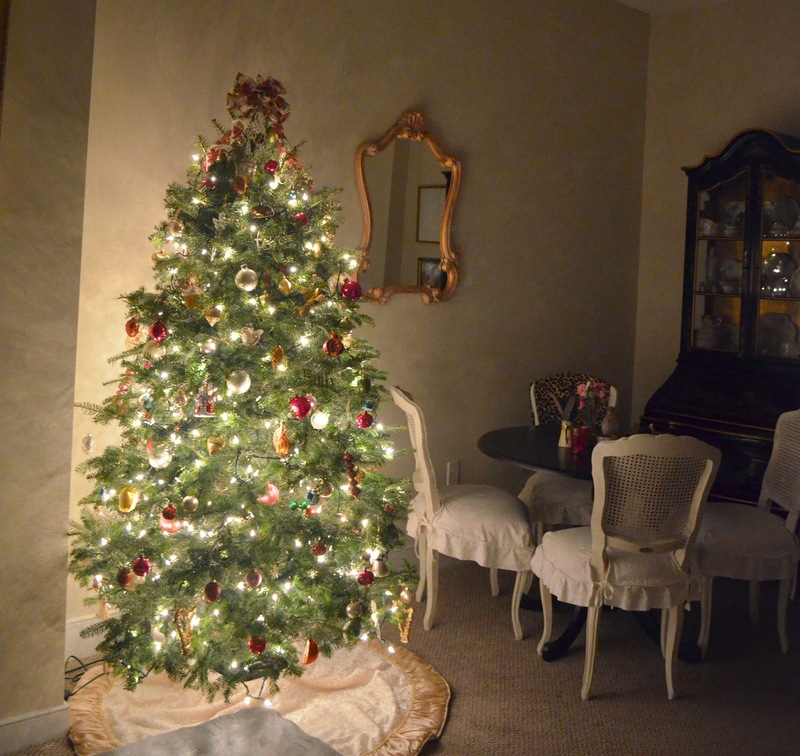 Twinkle lights are strung and the kettle is heated for peppermint tea. Life is simple this Christmas season and it feels good. 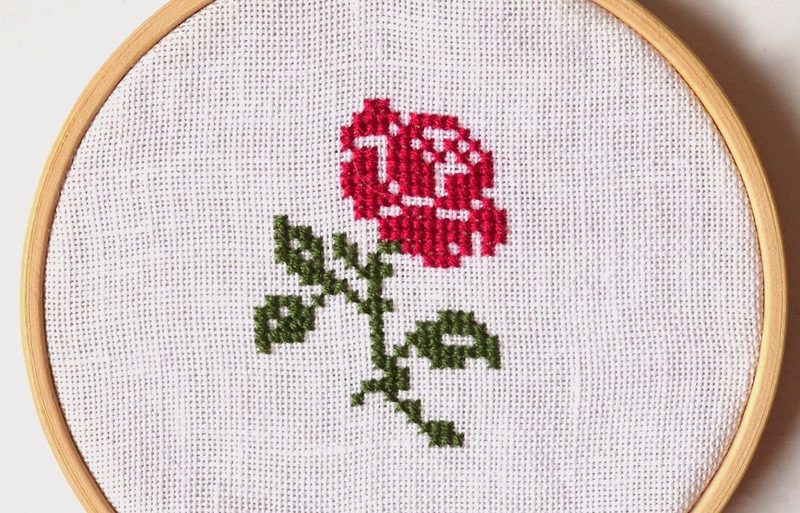 This delicate French rose cross stitching project is charming and quick. 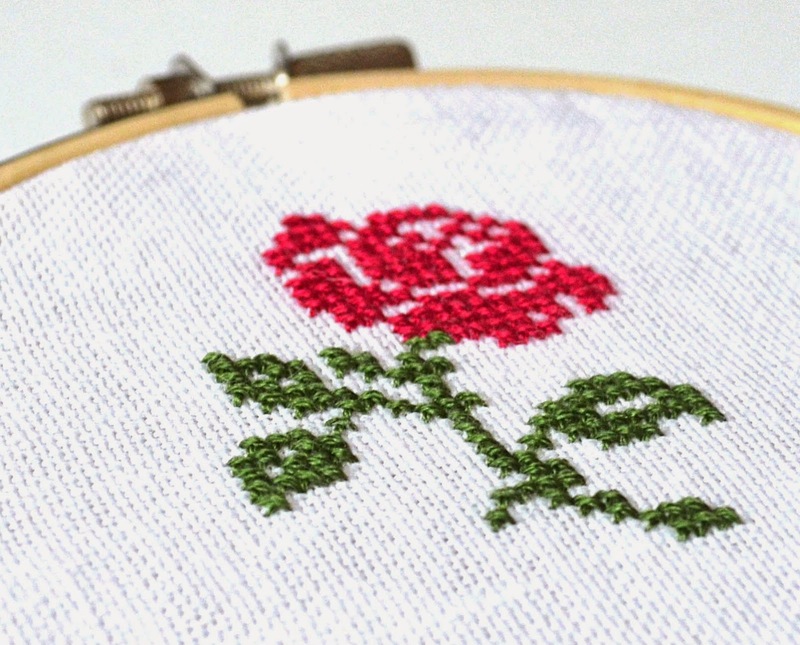 It's a good introduction to counted cross stitch because it uses only two colors. Frame it in a hoop and hang it on a wall as a pretty piece of art. It makes a sweet ornament or handmade gift. It's a fun Valentine's Day project too. For this project I used Needlepoint Inc Chinese silk thread. It's has a beautiful shine. I once had the pleasure of visiting the San Francisco shop, located on Union Square. All those gorgeous threads in one place, I was in heaven. But you can swap the Chinese silk floss for red and green DMC floss. 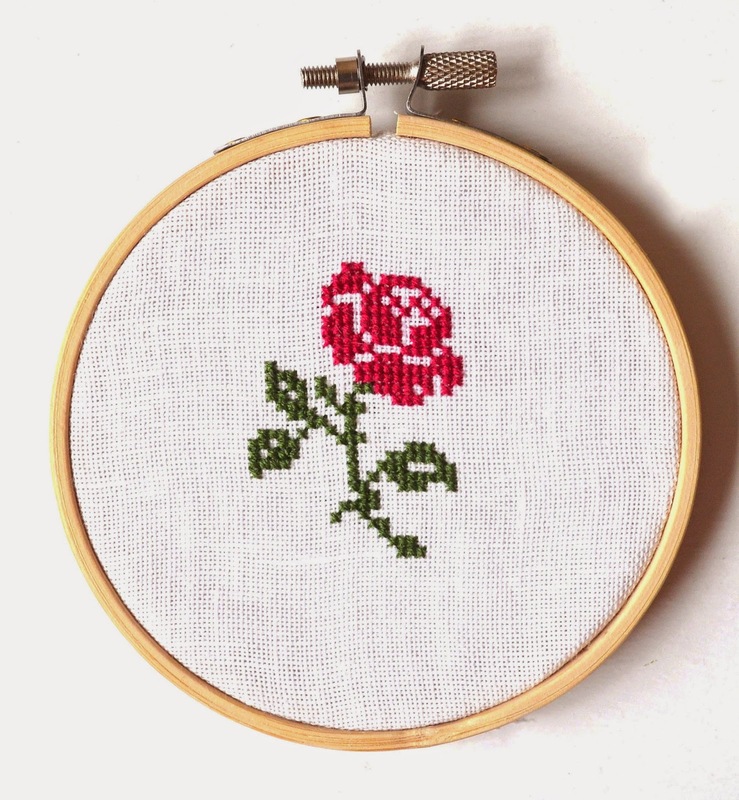 Alternately, the rose can be stitched in your favorite colors. Make a pink rose or a lavender one if that's what you prefer. I suggest stitching it while a good movie is playing on TV. Have fun and make this project your own. It's my present to you. I wish every one of you a peaceful, joyous and blessed Christmas! Red and green embroidery floss. Select your favorite red and green DMC Embroidery Floss or use Needlepoint Inc Chinese Silk Floss in the flowing colors: 403 and 946. A 7 by 7 piece of 28-count white belfast linen or 32-count white linen. I used 32-count for this project. Size 24 tapestry needle. I used Bohin Brand. Embroidery scissors. I use Bohin Brand "Heart" Scissors. 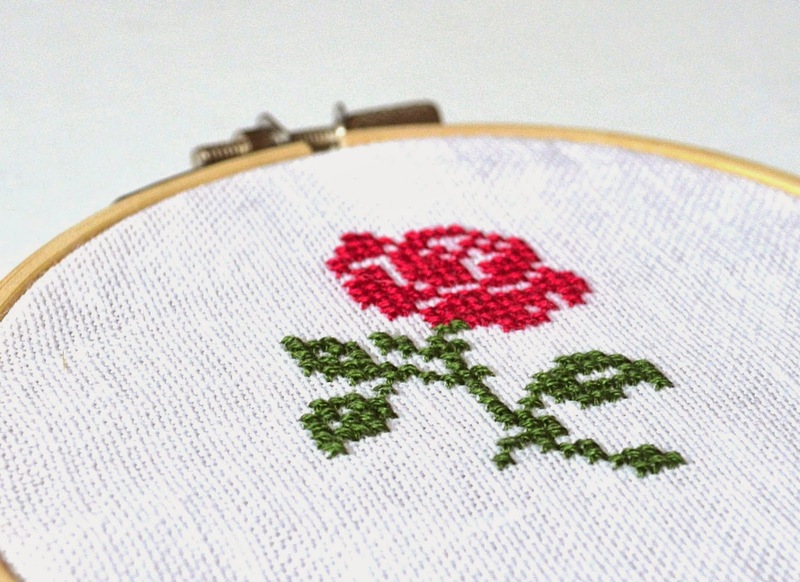 If you're new to cross stitching a more detailed tutorial can be found HERE. Embroidery floss is composed of six easily separated strands. Cut about a 12-15 inch piece of floss and separate the single, thicker strand into six individual strands of floss. The photo below shows the six thinner strands separated from the large strand. 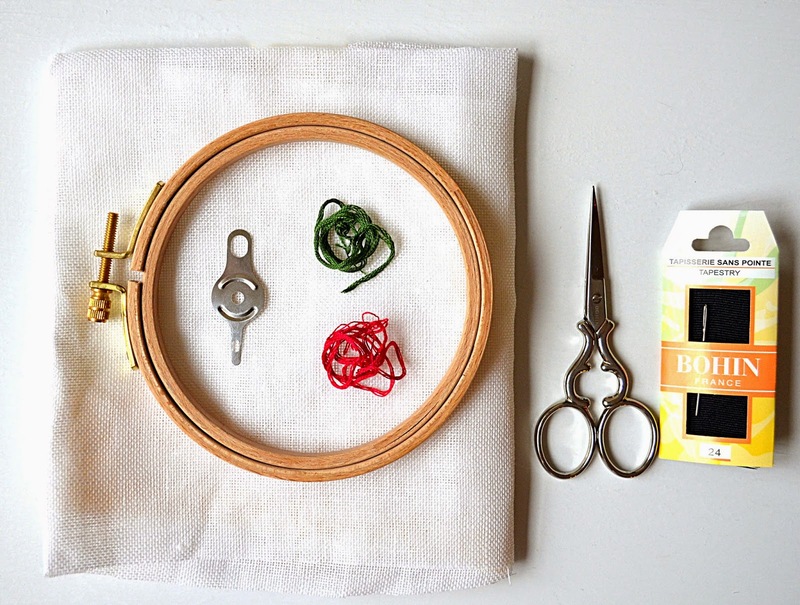 Use two strands of floss to thread your needle for this project. Needle threaders make this task much easier. Evenweave fabric is recommended for cross stitching. It comes in different sizes. 28-count linen is recommended for beginners. 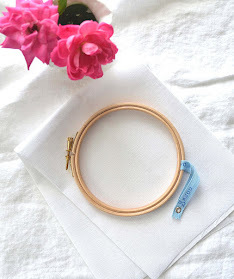 Place your fabric in the embroidery hoop. 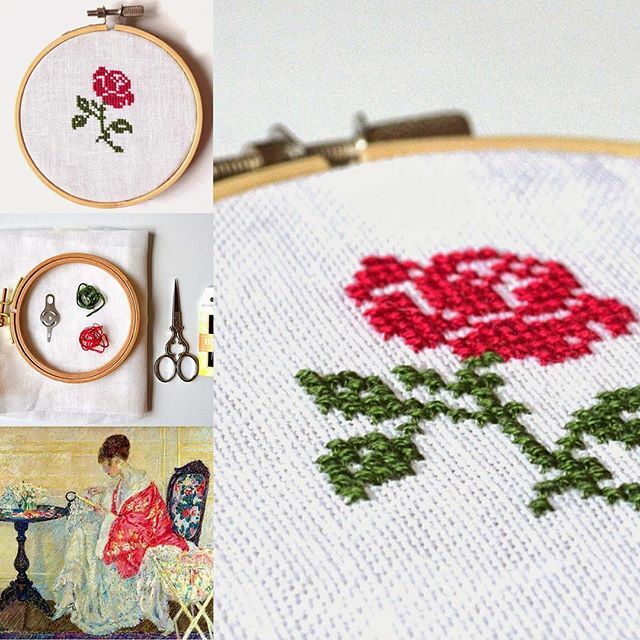 Embroidery hoops help keep the fabric taught. Tip: If you find the ends of the fabric are starting to fray, take the fabric out of the hoop and cut the edges with pinking shears or cover the edges with artist tape. In a pinch, cover the ends with masking tape. Remember to remove the tape as soon as you finish stitching the project. Find the approximate center of the piece of fabric. 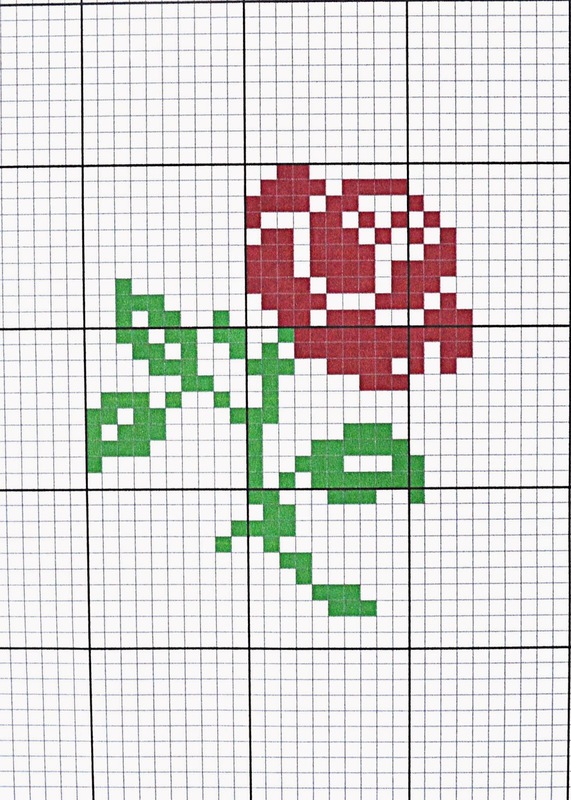 Start stitching by following the chart below to cross stitch the red rose flower and the green stem. 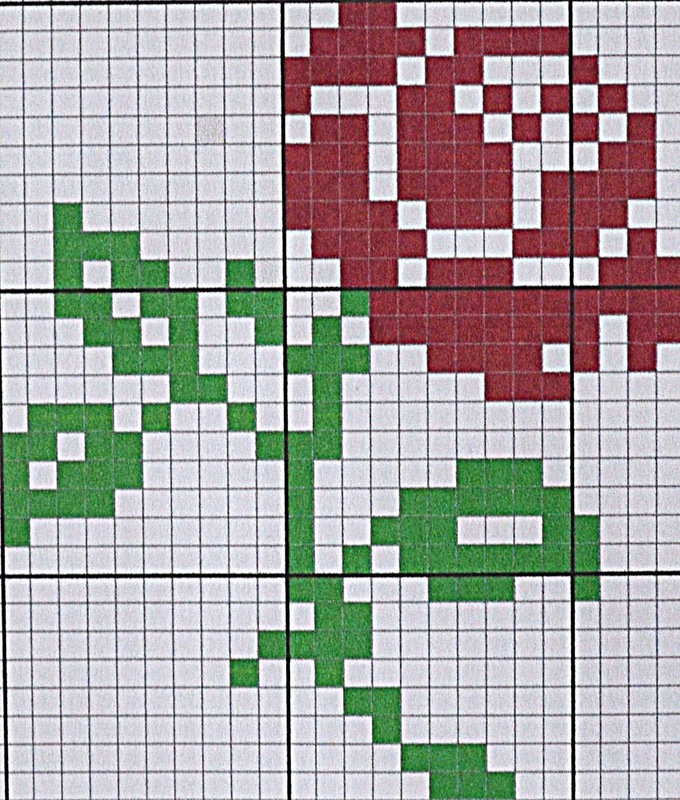 Each colored square on the chart represents a one cross stitch. To end a thread, run your thread through the stitches on the back of the fabric then clip off the end. 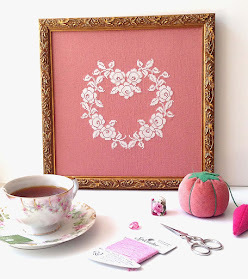 Frame the piece in your embroidery hoop. Cut away any extra fabric. Hang on a wall or place on a shelf and enjoy! If you're getting more serious about cross stitching, it's a good idea to invest in a magnifier and a standing or table top OttLite. 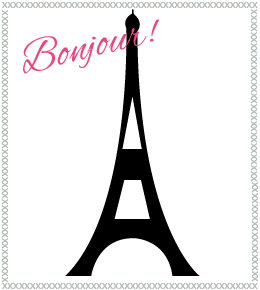 French Rose © 2015 Designed by Jill Nammar. All rights reserved. This pattern is intended for personal use. Merry Christmas and Happy Stitching! Hi, Jill, I am the founder of Cookie Connection - a site dedicated to the art of cookie decorating. One of my contributors made a cookie for a blog post (tutorial) that uses your French Rose cross-stitch pattern above, and I wanted to make sure that we had permission to use it on the cookie and in the post since you indicate you hold the copyright on that design. Please let me know as soon as possible. 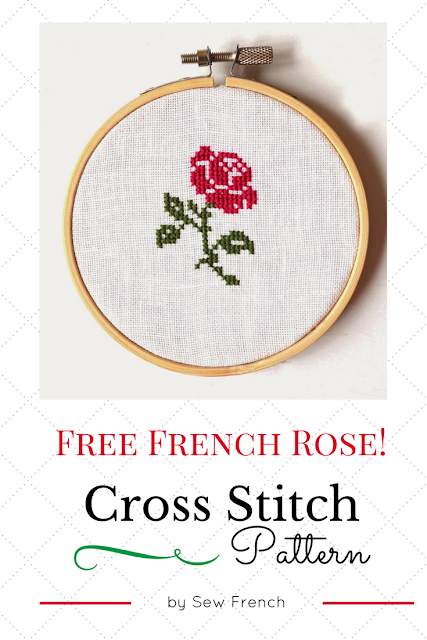 The post is purely for educational purposes (about how to emulate cross-stitch/needlepoint patterns on cookies) and no one profits financially from the post. Thank you so much! 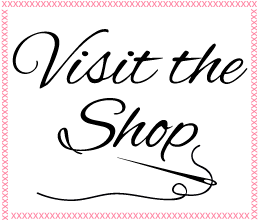 Your work and site are absolutely lovely!